Gambling is a multi-million dollar business, online casinos know exactly how to entice players to spend cash and lots of it. At times you’ll walk away a winner but more often than not you’ll end up losing more cash than you would have liked to. Players often slate casinos as deliberately designing games with built in ”traps”. If you didn’t know the sounds and bonus modes in slot games are designed to make players wager more. In this article we’re going to explore the ‘darker’ side of our favourite game, slots. Be careful when you play certain slots because their soundtrack can be ‘deceptive’ and impair your decision making skills especially when it comes to managing your bankroll. Part of the audio that can be deceptive is the thematic background music, music that celebrates a payout and the ‘ping’ when you click on the spin button. 2. What About Those Bonus Rounds? The modern slots contains a slew of bonus games. 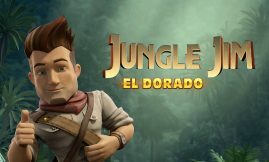 Some of the popular ones are pick me bonuses, spin the jackpot wheel, match two or three symbols, wilds and our favourite one of the lot, the free spins mode with multipliers. Not to mention the captivating themes or storyline of each game. The main reason why players keep on playing slot games is because the ‘Big Payouts’ are hidden in their aforementioned bonus features. I play slots for the sole purpose of triggering its free spins mode, succeed, chances are pretty good you’ll receive a decent payout. 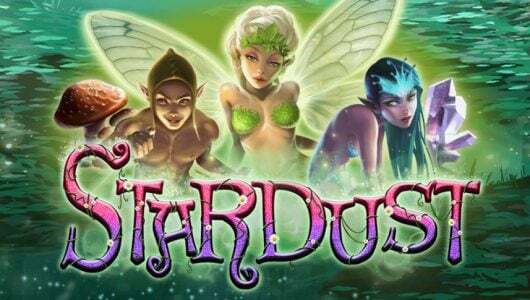 Online slots are fun to play, for the most part they’re profitable for the casino. Before you play a slots consult its ‘Paytable’ first-it tells you how many mini bonus games it has, its RTP (return to player percentage), which are the high value symbols and how their free spins features are triggered. Play the game in the free mode first at a reasonable bet level. By this we mean if your bankroll is £200 don’t play it at an average stake of £50 per spin. It’s important that you play the game within the parameters of your bankroll. 3. Those Pesky Near Misses! As an avid slots player I receive a slew of near misses. You might be thinking next time I’ll get you! Not so, this is a ploy the developers deliberately added to a slot machine to keep you playing. You might score two cherries out of the three jackpot symbols, frustratingly the third cherry will be above or just below the jackpot line. Come to think of it it’s kinda ‘Psychologically Arousing’ since it triggers that part of your brain that’s related to winning. More often than not it can even be more exciting than a win! A research team at the University of Exeter found that near misses are responsible for more slot play. A bunch of volunteers exposed to near misses were three times more likely to continue on playing. The crux of the matter is treat a near miss the same as you would treat a loss. 4. Is There Any Skill Involved? Video poker, slot or table games have ”nudge” or ”hold” buttons which creates the illusion of control. Players are led to believe that they control the outcome of the game. Any slots is a negative expectation game where the house always wins over a period of time. We explain it in more detail on this page: https://casinowhizz.com/site/use-math-playing-online-casinos/. If you want to control the outcome of a game it’s best to start playing skilled-based games like video poker, poker or sports betting. Another interesting component of a slot game is its ‘Gamble’ feature, it gives players the opportunity to double their wins at the whim of a coin toss. Even though the odds are 50/50 we firmly believe that one bird in the hand is better than two in the bush. Then again if you’re up for a bit of fun it’s nice way to double your cash. 5. Disguised Wins Trick or Treat? Many expert gamblers consider this a below the belt punch on the casino’s part where losses are disguised as wins. To give you an example: You wager on 30 paylines at 20 pence each, wagering £6 in total. If 2 of these paylines have a winning combination, you’ll win £1.8. The screen flashes like crazy celebrating your win not to mention the audio. If you do a simple calculation you’ll notice that you’ve lost £4.2. You’ll be surprised to hear that it happens quite a lot especially on slot machines that contain multiple paylines. Always keep tabs on how much cash you’re spending per spin if you don’t your bankroll will burn faster than a paper in a bonfire. Slot games are designed to pay out at regular intervals yet the wins err on the small side. The reason for this is players like to be rewarded on a whim, if a slots doesn’t pay out often they’ll become frustrated and take their business elsewhere. The big wins normally occur on every 20 to 40 spins but it also depends if it’s a low, medium or high variance slots. Rumour has it that online casinos hire gaming mathematicians to alter the odds of a game. To the best of our knowledge this is not true, each slots payout is completely random and governed by a random number generator (RNG). If an operator in licensed in a credible jurisdiction such as the UK is found tampering with its slot machines it will incur a hefty fine or it can lose its license. Let’s circle back as to why it’s important that a slot game pays out often. Eminent psychologist Mihaly Csikszentmihalyi describes it as ”flow”, in other words there must be a perfect balance between reward and stress. If players continue to lose they’ll get frustrated and stop playing. Even if the wins are small players might lose interest. It’s important that casinos offers slots that are well balanced in terms of reward. This is why they indicate the average return to player percentage (RTP) of each game so that players with different bankrolls know if it’s suitable to them or not. A high roller out chasing the big win is not going to play a low variance slots. 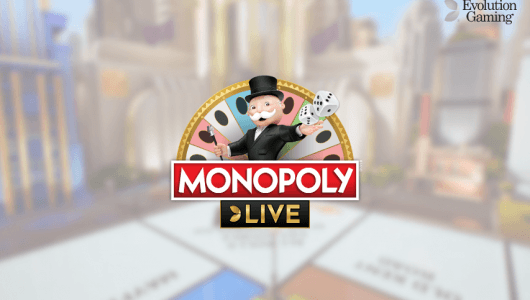 While it seems counter-productive to spend all your time playing games that keep on paying small payouts, at least you won’t blow your bank balance too quickly. You won’t win much either this kind of fun is well-suited towards casual players. Today’s slot games are highly entertaining, thanks to proper regulation they’re not as scrupulous as the games of yesteryear.